Anyone have one of these conversion tonerings to sell? I’m wanting to convert my flathead to an archtop. I have not heard of a flathead to archtop tone ring. The common conversion rings are made to convert an archtop to a flathead. I was interested in turning an old junker masterclone flathead I have into an arch top a few years ago. After digging around, I found that Stew Mac made a flat head to arch top conversion ring back in the day. They are RARE...and maybe only 100 or so...but...they’re out there. Not long ago there was one for sale on eBay for $300. Could be gone, but keep looking....there is such a thing! I assume these never became too popular since everyone wanted to be like Earl and have a flathead. My main banjo is an archtop, first one I’ve played too, and I think I’ll never go back to a Flathead (played with both types having great setups). Archtops just ring and have so much power; I use light gauge strings and a snuffy smith bridge. 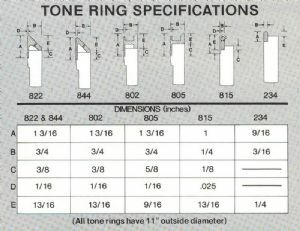 This is why I am looking for a conversion tone ring for a Deering Golden Era (‘93) I recently acquired. banjo-joe: Great chart! 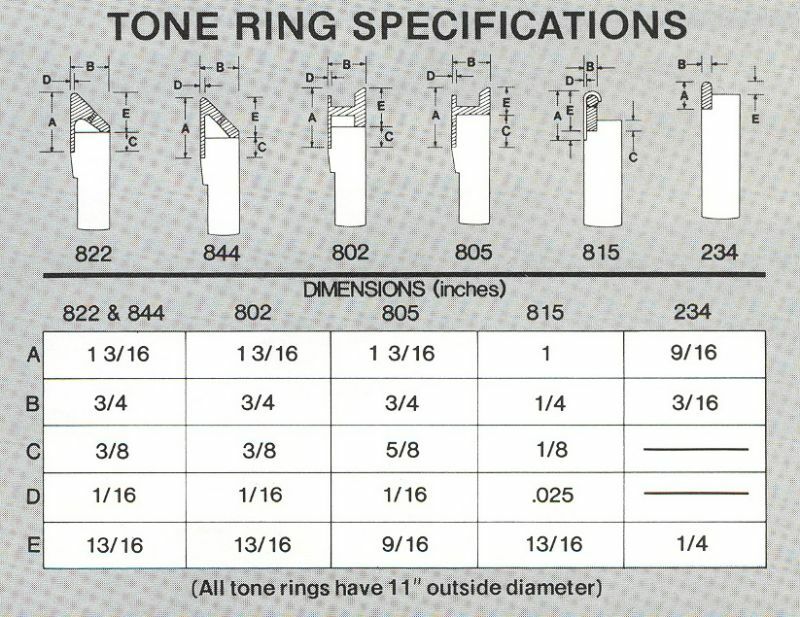 Exactly, 802 is the conversion tone ring I am looking for. It's nice to see the actual differences in measurement. I've found one! It's shipping now. Took the measurements and should fit nicely on my Deering Golden Era. Will update on how it sounds.